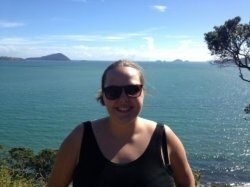 I am originally from the UK and have lived in New Zealand for almost 6 years. I enjoy my job, living near the beach and travelling. I have 10 years experience teaching History from ages 11-18. I specialise in both CIE and NCEA history and have taught all levels. I know both systems really well. I am currently Head of History and the Social Sciences faculty at an Auckland based secondary school. I strongly believe that there is a code to cracking exams. We learn knowledge in class, but sometimes students find it difficult to apply that to examinations. I believe it is important to break down the marking schedule/scheme so that students are clear what is being asked of them. I am a positive and encouraging tutor, who will make your child feel secure in their learning. JennaFrom Annabel (5/5): Jenna has been an amazing addition to my daughters schooling. She has improved tremendously in the few shorts weeks Jenna has been teaching and tutoring her. Jenna comes to us and is thorough, encouraging and very accurate in her feedback. Her advice has been very helpful in clarifying the requirements of Cambridge exam essays and she has great experience with all aspects of the Cambridge system. We would not hesitate to recommend her or use her services again. Reply from: Jenna: Thank you very much for your kind words. I have enjoyed working with your daughter and have been impressed with her progress. JennaFrom Cherie (5/5): Excellent tutor! Couldn't of asked for better, took into account the way I liked to learn and what in particular I was struggling with and then organised sessions around these points. Excellent value for money, I wish she could have been my teacher in school let alone my tutor! Reply from: Jenna: Thank you for your kind comments Cherie and well done on going from an E to an A in your resit! JennaFrom Michael (5/5): Very knowledgeable on subject, and coached and got on with our daughter well in preparation for exams. Would defiitely use again.